With almost 60 kilometers of fantastic beaches and an enviable climate, Gran Canaria is a destination that will make you feel you are in paradise. 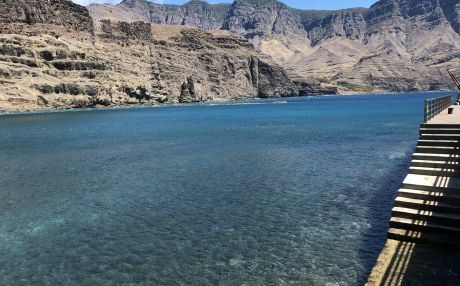 Gran Canaria, located about 200 kilometers from the African coast, is the third largest island in the Canaries Archipelago and is considered a Biosphere Reserve by UNESCO. Gran Canaria is a dynamic island full of contrasts, in which traditions are still kept alive. 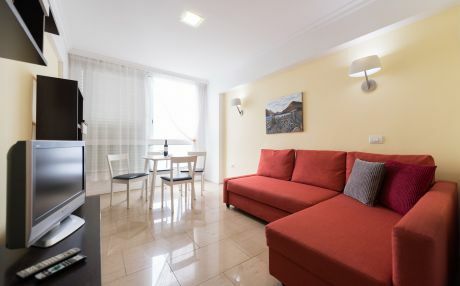 There are many beautiful places that you should not miss once you have booked your accommodation in Gran Canaria. The most famous area of this extraordinary island is the south, which holds picturesque villages such as Puerto de Mogán, a fishing village with canals and bridges also known as the "Little Venice". Also, in the south are the famous Playa del Inglés, San Agustín and Meloneras. Dunas de Maspalomas are worthy of a mention, a spectacle of golden sands with undulating shapes molded by the wind, contrasting with the blue of the sea. A natural spot of unique beauty that shelters a great variety of ecosystems. In the rest of the island, some essential stops are Parque Rural del Nublo and Las Palmas. 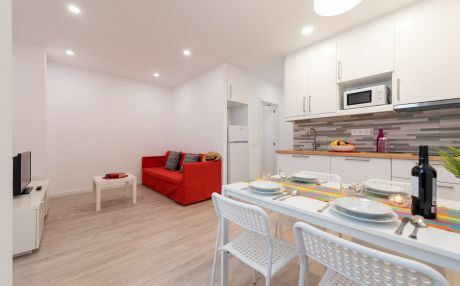 The capital is a vibrant city full of culture, with a variety of shops, lively nightlife and beaches as beautiful as Las Canteras. During your holidays in Gran Canaria, you will discover an island full of flavors. The Canarian gastronomy has been enriched with local products and the distant influences that the travelers have brought to its ports over time. Do not forget to try the most typical dishes of the archipelago: el gofio, el rancho canario, el sancocho, las papas arrugadas con mojo, el atún en adobo or las carajacas. Something typical of Gran Canaria that you will not find anywhere else is the queso de flor, a cheese of intense flavor, elaborated with a mixture of milk of cow and sheep. Gran Canaria has also typical sweets and desserts as delicious as the bienmesabe, typical of Tejeda. It consists of a mixture of sugar, almond, cinnamon and egg yolk. It is usually served as an accompaniment to ice cream, cakes and biscuits. Delicious! It has often been compared to a miniature continent, since it holds kilometers of dunes, leafy forests, green mountains of volcanic origin and lots of natural features. 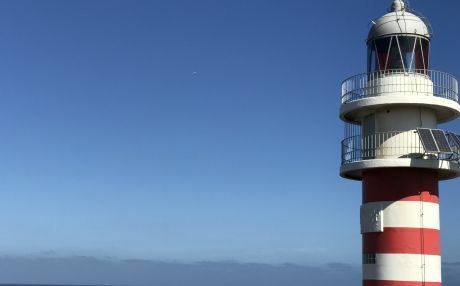 Las Palmas, the capital, is in the northeastern part of the island, but there are many other interesting towns and villages to visit, such as Maspalomas, Agaete or Puerto de Mogán. 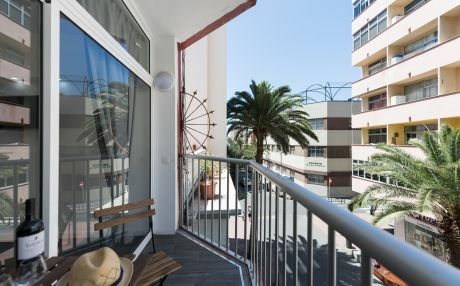 Book your holiday accommodation in Gran Canaria. 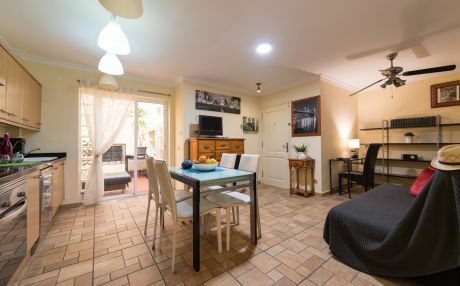 Gran Canaria is the favorite destination of many families who come every year from all over Europe to enjoy their holidays. This is not surprising, because this place has everything children need to enjoy themselves, as well as a gentle sun to recharge energies. Gran Canaria holds beaches of all kinds that will delight the little ones. You can also go on excursions to see dolphins, camel rides, go down the toboggans of the Aqualand Maspalomas water park, or go scuba diving. Are you looking for something completely different? Well, how about a visit to the Wild West! Sioux City Park is a park that was built decades ago for the filming of movies and where today you can walk through the sheriff's office and enjoy several shows. Do you like history? Then head to Museo y Parque Arqueológico de la Cueva Pintada, where you can visit a prehistoric town, the children will enjoy it. 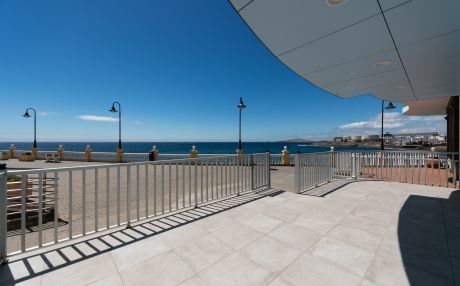 The airport of Gran Canaria is on the east side of the island, next to the municipalities of Telde and Ingenio. 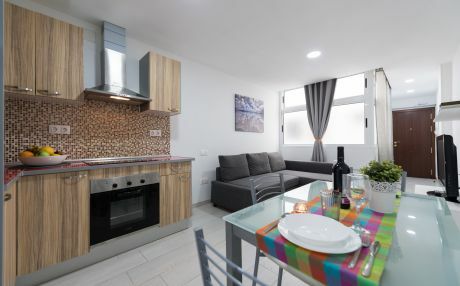 It connects with the main Spanish cities and also with international destinations. 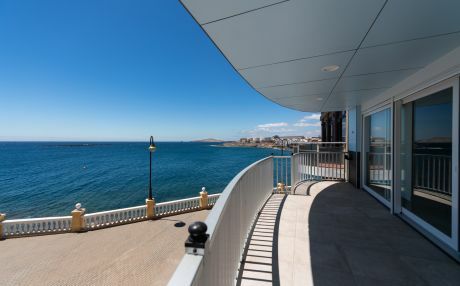 The island also has two important ports: Puerto de las Nieves, which connects to the island of Tenerife by ferry, and Puerto de la Luz, which is bigger, receives ferries and cruises. Inside the island you can move around comfortably by car, taxi, train and bus (or “guguas” as locals call them). 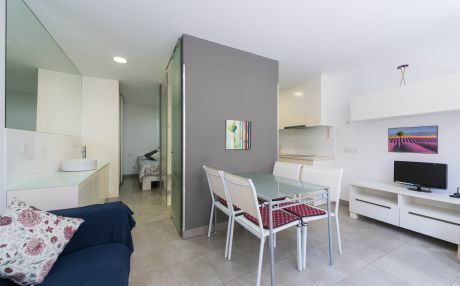 Renting a tourist accommodation in Gran Canaria is comfortable and simple. Apart from that, you’ll discover the charms of this island at your own pace, without haste, while immersing yourself in the local environment. 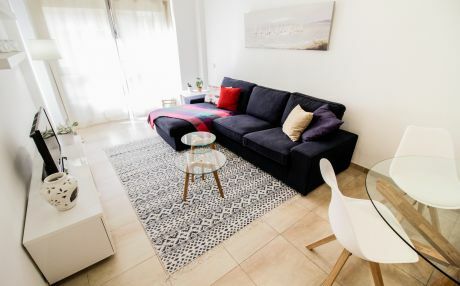 In Gran Canaria you will find holiday accommodation for all tastes: apartments in the city center, sea front penthouses, accommodation with garden and swimming pool for families or groups of friends, romantic studios, and much more. 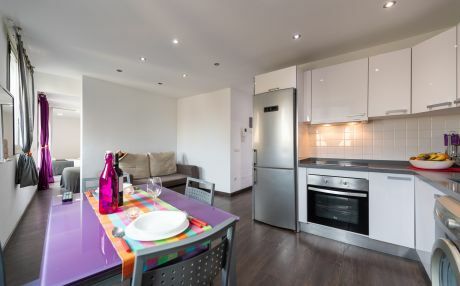 Whatever accommodation you are looking for, you will certainly find it in Gran Canaria. Enjoy a magical vacation between paradisiacal beaches and relaxing landscapes!